 "Le quiete stanze" is the section dedicated to workshops and seminars. />The place where artistic and cultural pedagogy is available for anybody who wants to study directly the artistic techniques that make the final aesthetic result in the performing arts. Depending on the level of knowledge of the Bharata Natyam style, each student is offered to study and / or to further deepen the dance through the exercise of fundamental steps, body language and hands (hastas), as well as the abhinaya (acting). P. Praveen Kumar, an exceptional dancer and great soloist, received his education under the guidance of guru Smt. Narmada. He decided to devote himself completely to Bharata Natyam after meeting Prof. C.V. Chandrashekar, one of the greatest interpreters of Bharata Natyam of the 20th century, with whom he completed his learning pathway. Parvathy Baul will introduce participants to some of the basic elements of Baul practice, including voice, dance and yoga. Participants will learn some songs and be introduced to the Baul tradition through the direct experience of Parvathy as well as the examples she will show during the workshop. In collaboration with Festival Danza Estate. The workshop, led by Aakash Odedra, will focus on his personal technique which is based on contemporary dance movements influenced by the classical dances of Southeast Asia, especially Kathak the famous classical dance of Northern India. INFO: no specific requirement is requested. Limited number of attendees. Hours: 7 - 9.30pm. Price: 50 euros including a ticket for another performance of the Festival Danza Estate. Reservation required at 23/C Art (at C.S.C. Anymore) via Don Luigi Palazzolo 23/C - Bergamo, from Monday to Friday 9am – 6pm or by phone at 035.224700. The research that TTB has developed since its establishment puts education at the centre of their professional world. Incontri d’attore is for young people interested in the art of acting, based on techniques and work methods that TTB followed and practiced along its journey. The participants will be able to directly get to know the work of the actor through a series of exercises and learning experiences (including techniques of the laboratory-theatre, street theatre, techniques of classic oriental theatre and vocal techniques). The workshop could include meeting guests, studying testimonials (filmed or in person), shows and demonstrative shows.